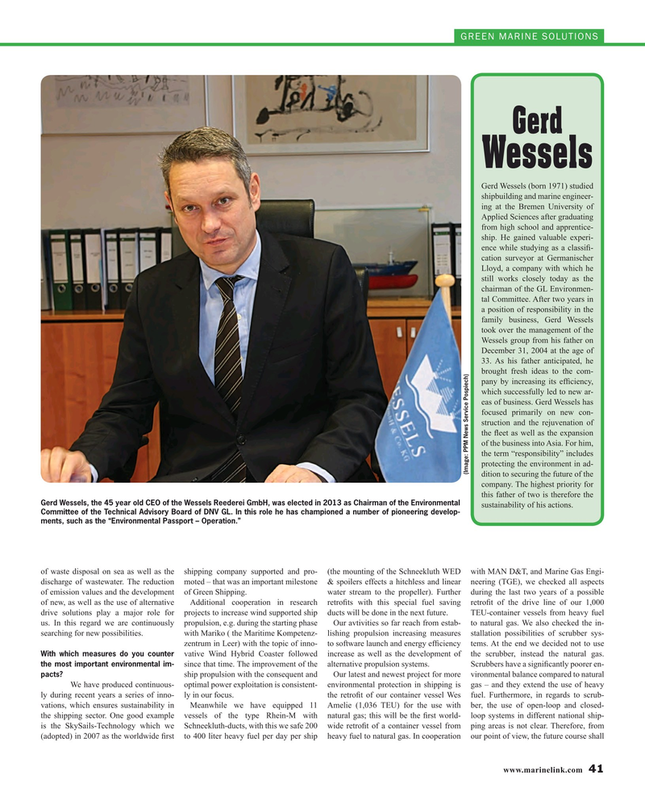 Gerd Wessels, the 45 year old CEO of the Wessels Reederei GmbH, was elected in 2013 as Chairman of the Environmental sustainability of his actions. With which measures do you counter vative Wind Hybrid Coaster followed increase as well as the development of the scrubber, instead the natural gas. since that time. The improvement of the alternative propulsion systems. Scrubbers have a signi? cantly poorer en- the most important environmental im- ship propulsion with the consequent and Our latest and newest project for more vironmental balance compared to natural pacts?